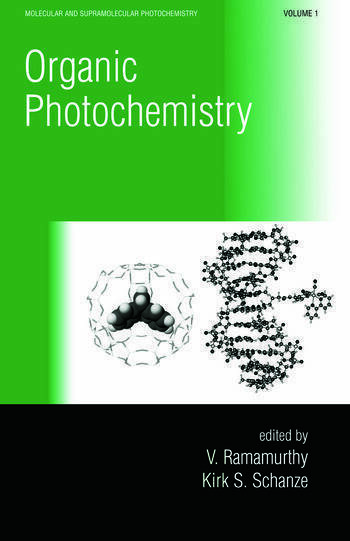 The photochemistry of sulfoxides and related compounds; the photochemistry of pyrazoles and isothiazoles; photochemistry of (S-hetero)cyclic unsaturated carbonyl compounds; photochemistry of conjugated polyalkynes; photochemistry and photophysics of carbocations; regio- and stereoselective 2+2 photocycloadditions; photoinduced redox reactions in organic synthesis; photochemical reactions on semiconductor particles for organic synthesis; photophysics and photochemistry of fullerene materials; use of photophysical probes to study dynamic processes in supramolecular structures; photophysical and photochemical properties of squaraines in homogeneous and heterogeneous media; absorption, fluorescence emission and photophysics of squaraines. ". . .I cannot count the number of times I have used. . .Organic Photochemistry as a lead source to an area of photochemistry; I predict my group and I will use this new series as often." ". . .this book will be of interest not only to photochemists but to all those with an interest in organic chemistry and synthetic methods. " ". . .a useful resource in any institutional library collection. . .I look forward to future volumes. "